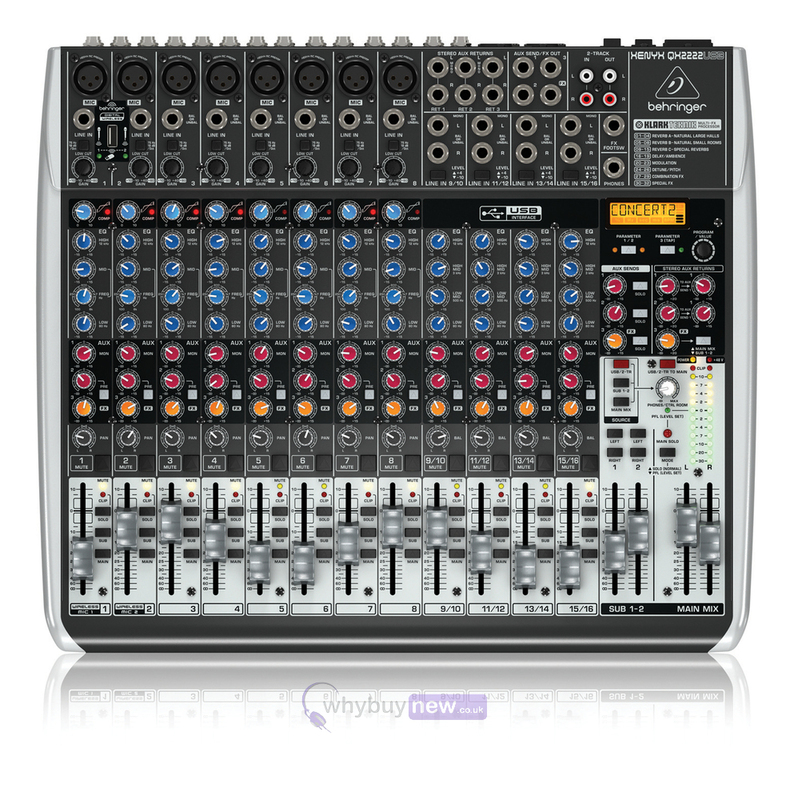 The Behringer QX2222USB is the largest of the Q-series XENYX mixers designed for live PA and use in small studios. 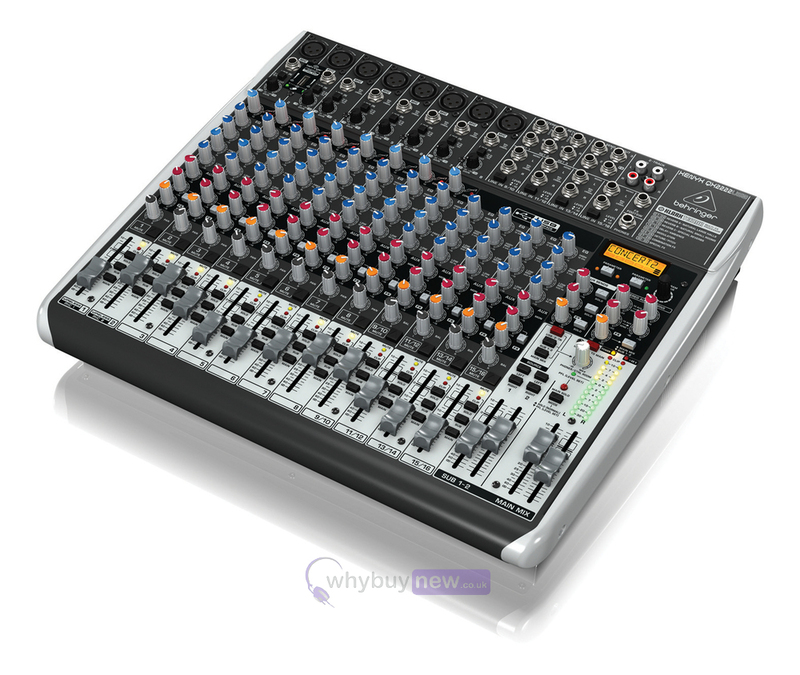 Behringer Xenyx mixers have been a favourite amongst music professionals for many years by combining reliability, professional levels of specification and exceptional value. Q-Series of mixers take these same core values but add further innovative features which will give bands, producers and other audio professionals increased power to make professional recordings. Xenyx Q-Series mixers are equipped with premium microphone preamps and robust feature sets typically associated with far more expensive consoles. Xenyx Q-Series USB mixers are equipped to handle live gigs and provide the state-of-the-art tools to make stunning, professional-quality recordings. QX models feature "wireless-ready" integration for use with Behringers new range of ULM Series USB microphones, making them the first of their kind in the industry. Along with their built-in USB/audio interfaces, "one-knob" mono channel compressors and KLARK TEKNIK FX engines, XENYX Q Series USB mixers come with all the recording and editing software you'll need to turn your computer into a complete, high-performance recording studio. As we have previously menitioned, Xenyx Q-Series mixers incorperate a "one knob" dynamic compressor. This is a unique feature which simplifies the, often-complex, compression of your sound that usually requires expensive additional equipment (and normally a sound engineer). Dynamic compression is where the 'extremes' in the music are trimmed down (i.e peaks are reduced in level and particularly quiet notes which may otherwise be lost are 'boosted'). One-knob compression makes adjustments easier than ever before and accessible to everyone. One-knob compression comes as standard on all Q-series Xenyx mixers. Behringer Xenyx mixers have always been known for offering high-quality audio processing despite it's affordable price tag, the Q-series are no different. Every mixer in the range features sonically superior Xenyx mic preamps which hold-their-own when stood beside specialist seperate pre-amps. The EQ onboard the XENYX Q-series is based on the same technology used in the legendary British mixing desk of the 60's and 70's, the sound from which helped propel British popular music to the worldwide rock'n'roll phenomenon. These equalisers exhibit superb audio quality and a warm, detailed musical character even when applied gererously. Q-Series Xenyx mixers from Behringer are perfect for the musician who is looking for a simple all-in-one recording system. 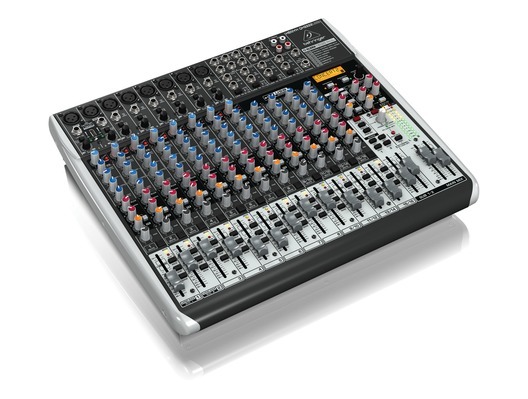 Q-Series mixers offer simple to use hardware combined with various bundled software (downloadable) to enable anyone with access to a computer to make easy, professional recordings. PC and Mac software for recording and podcasting comes bundled with the mixer and includes Audacity, Podifier, Juice, Podnova and Golden Ear. Connection to your computer is via a bi-directional USB audio interface via s single, standard USB cable. No matter what your audio mixing needs are, BEHRINGER QX Series USB mixers provide the performance and features to take your talent to the next level, at a price sure to amaze you.